I went into this not knowing what it was about, I had read the briefest of descriptions, and to be honest, I must have missed paranormal anywhere in it, because when things started happening in Don’t Turn Around, I was caught completely unawares. “You don’t know him. But he knows you. I really liked Jennifer as a character, she is very well drawn and it’s easy to empathise with her at times. The story flowed very easily, and Caroline has a lovely way of writing. I found the book very easy to read, albeit I’ve been fighting a cold, and have a baby who has decided naps are for wimps, so my reading time has been severely curtailed. However, no matter when I left down the book, I was easily able to pick up where I left off as it’s just so easy to follow. Anywho, it’s safe to say I really enjoyed this book! It’s not a genre I usually read, but I am looking forward to Time To Die now! 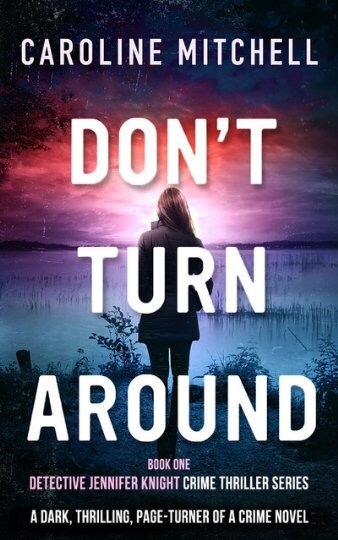 I gave Don’t Turn Around 4 ⭐️ on Goodreads!